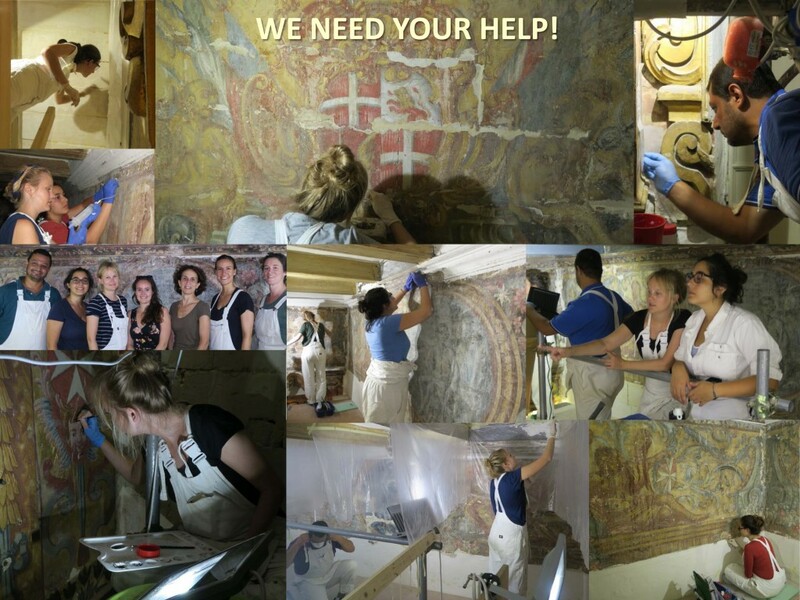 There are some amazing rewards for those who donate funds, including a free one-year membership to the MSA, attendance to a lecture about conservation by professional conservationists, a concert by The Goldberg Ensemble presenting a new composition by Christopher Muscat, a course of your choice at MSA, a concert in the magical setting of the Chapel itself, and many prime tickets for the Baroque festival and other events at the Manoel Theatre! Located in the lower part of the Republic Street, in Valletta, and built in the late 16th century, Palazzo De la Salle has been home to Knights of the Order of St John for over 200 hundreds years during the Baroque era. The magnificent Palazzo has been the seat of the Malta Society of Arts (MSA) since 1923, and is currently used for arts education, exhibitions and performances. The little-know Chapel within the Palazzo is decorated with stunning 1730s wall paintings depicting the Coats of Arms of Fra Guillaume de la Salle, the eponymous resident of the Palazzo, Grandmaster Manoel de Vilhena, and scenes from the Life of St John. 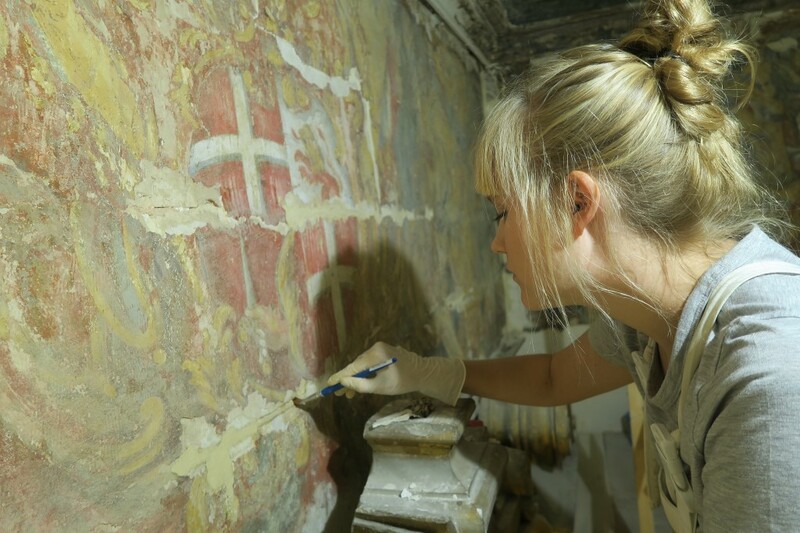 These paintings are highly significant as some of the few Baroque wall paintings in Malta to survive within a domestic context, but they are virtually unknown to scholars and the public alike, since the Chapel has been closed to the public since the early 20th century. 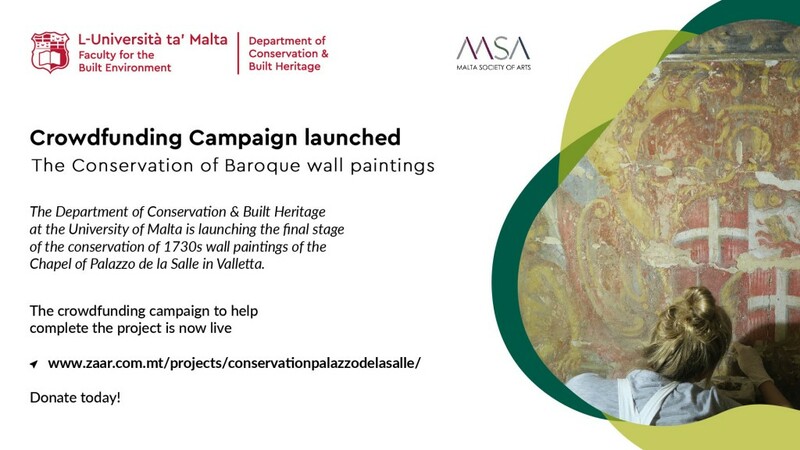 The Project entails the completion of the conservation of the wall paintings of the Chapel, started by the Department of Conservation and Built Heritage of the University of Malta in 2016. Such important paintings will be finally presented to the public after hundreds years of obscurity.